Starting tomorrow, you'll be able to +1 a post on some of your favorite websites. Google plans to make the official announcement tomorrow; however, a PR company accidentally leaked bit of the details about its upcoming +1 for websites functionality earlier this evening to TechCrunch. The feature will allow any website to add a +1 button to its site so readers can "+1" any content they enjoy. +1 was actually the topic of one of our TechnoBuffalo Defines posts earlier this year, and works essentially the same way as pressing the "Like" button on Facebook; however, your +1 is distributed through Google Search rather than on your Facebook wall. The basic idea of +1 is that it will bring your friends opinions into your web searches. If I'm looking for a recipe for chili and see Noah gave a +1 to a particular site's recipe, I might be more likely to click on that link as opposed to any of the others that pop up in a search. +1 lets you give recommendations, without necessarily having to be asked for them. 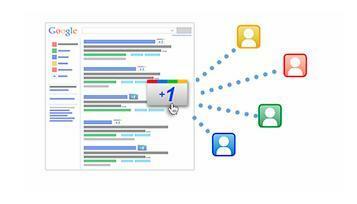 What do you think about Google's +1? Will you use it? Is it a feature you would like to see us add to TechnoBuffalo?